Tweet I have had so many students asking me this question that I decided to write a blog post about this. You are not duplicating existing research. That you have something new to contribute - in terms of theory, methodology or sometimes context. Attending the mandatory online Data Protection training. This training takes about 1 hours and staff can take the training at their own convenience and unlike actual training sessions, you can pause, go and get a drink, come back and continue from where you left off. It's more like a slideshow but with tests at the end. I guess the disadvantage is that there is no interaction and you cannot ask questions when you are not clear. Despite this drawback, there are so many advantages besides the convenience mentioned earlier. For the organisation, I guess it is cheaper for them to organise - there is no need to hire a trainer, book a room, etc. I guess we will be getting invitations to more of such training sessions in the future. Tweet Based on the subject ranking for Business School subjects in the 2012 NSS, our department (Marketing) has been ranked 3rd in the UK. Delivered by Prof. Marylyn Carrigan, BES ethics and governance leader at Coventry University. "Most ethical issues in research can be resolved with common sense." Tweet I organised a hands-on workshop for the CESIM SIMBrand online simulation game for members of our department. 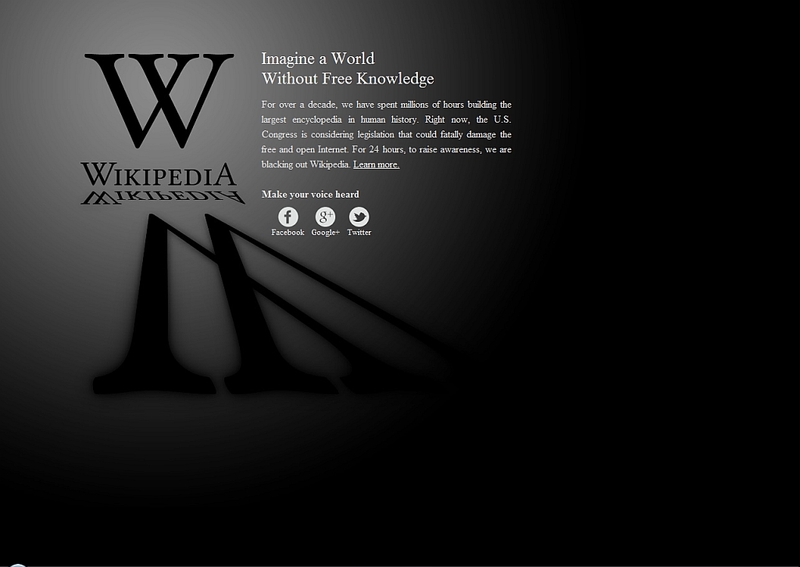 It was run by Waqas Mir from CESIM. Only 6 staff members turned up for the workshop but based on the feedback of those who attended, I felt that it was a great success overall. Even though I have successfully run this game for 4 different UG and PG classes, I still learnt a few new things in the workshop. 267MKT - Principles of Marketing. I start teaching a group of MBA Marketing students tomorrow. Tweet We normally associate Brand Ambassadors with actors and actresses, models and sports personalities. 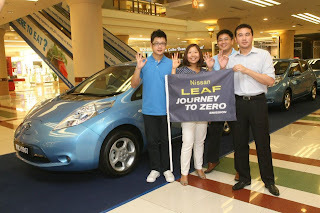 However, you might be surprised to learn that Edaran Tan Chong Motor, the official distributors of Nissan cars in Malaysia have recently selected four lucky people out of hundreds of applicants as Nissan LEAF Ambassadors. These lucky guys are using the Nissan Leaf for six weeks and are sharing their experiences. However, when I looked at who these lucky ambassadors were, I noticed a few familiar names. they are definitely not ordinary - at least two of them are well known bloggers in Malaysia. Jason Goh who blogs at Smashin' Popstar and Daniel Yap who blogs at Eternal hobbyist. It does make perfect sense and is not something new as companies have been using bloggers to review (and promote) their products (and services) for a while. Bloggers are opinion leaders and several blogs have readerships that run into thousands. Studies have shown that they are perceived as more credible than even traditional media, including newspapers and may be the reason that websites of newspapers are increasingly looking like blogs. And unlike other celebrities, they do not require you to pay them millions to become a brand ambassador. Plus you get fantastic original and creative consumer generated content followed by online word-of-mouth marketing. However, it can be risky as well. Many bloggers are known to be quite independent and speaking their mind. They might end up rubbishing your product and your brand name, if they had a bad experience using them. DPR is the acronym for Development and Performance Review and it's something that all employees have to face in most organisations. This workshop was Run by the Learning and Development Team of Coventry University. The session was run by Anna Chapman, HR Learning and Development Adviser. As this is going to be my first DPR at Coventry University, I thought it might be useful to understand the key areas to consider in completing my DPR form. I have been evaluated before but I guess each organisation has it's own unique way to review the performance of their employees. There were some examples of not so "SMART" objectives. However, I would have liked some good examples of good objectives. I also found out that if we get an "Outstanding" in the DPR, we get to jump 2 levels on the payscale - a really good motivation. A couple of minutes ago, a colleague asked me whether I could recommend some seminal journal papers on branding. Somehow, I could not think of a single one. All I could think of was the book Strategic Brand Management by Kevin Lane Keller. This may be due to the fact that branding is not really my area of specialisation. Contrary to what some people seem to think, marketing is such a wide field. Aaker, Jennifer Lynn (1997). Dimensions of Brand Personality, Journal of Marketing Research, 34(Aug), 347-356. Fan, Y. (2002) The National Image of Global Brands, Journal of Brand Management, 9(3), 180-192.
de Chernatony, L. (1999) Brand Management Through Narrowing the Gap Between Brand Identity and Brand Reputation, Journal of Marketing Management, 15(1-3), 157-179. Geuens, Maggie, Bert Weijters and Kristoff De Wulf (2009). A New Measure of Brand Personality, International Journal of Research in Marketing, 26, 97-107. Gounaris, S. and Stathakopoulos, V. (2004)Antecedents and consequences of brand loyalty: An empirical study, Journal of Brand Management 11, 283–306. Holt, D. B. (2002), Why Do Brands Cause Trouble? A Dialectical Theory of Consumer Culture and Branding, Journal of Consumer Research 29(1), 70-90. Low, G. S. and Fullerton. R. A. (1994), Brands, Brand Management, and the Brand Manager System: A Critical-Historical Evaluation, Journal of Marketing Research, 31(2), Special Issue on Brand Management, 173-190. Shocker, A. D., Srivastava, R. K. and Ruekert, R. W. (May, 1994) Challenges and Opportunities Facing Brand Management: An Introduction to the Special Issue, Journal of Marketing Research, 31(2), Special Issue on Brand Management , 149-158. 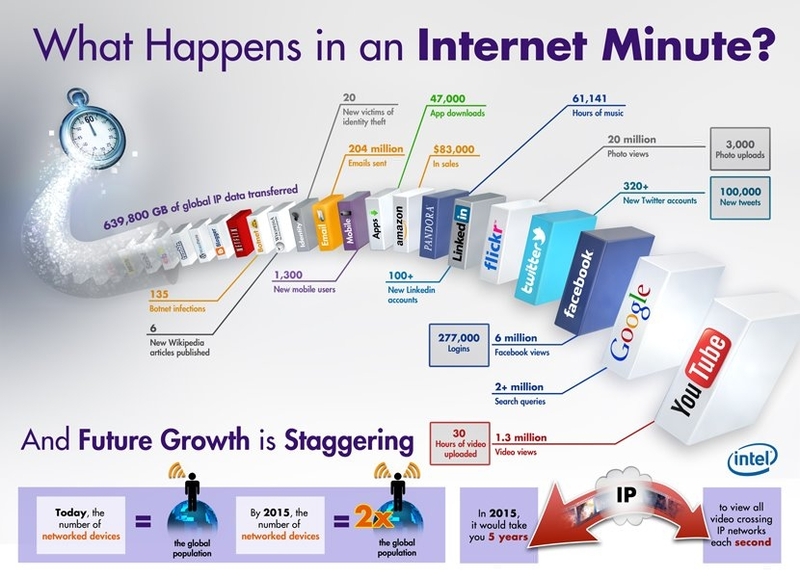 Just received this interesting diagram of what happens in one internet minute. It's astounding. Ana Isabel Canhoto, Senior Lecturer at Oxford Brookes, has written an interesting post on her blog, discussing ‘This thing called marketing'. This definition is my favourite as well. However, I feel that there is a need to update this definition. As I commented on Ana's post, the growing importance of Social marketing has presented some unique issues, where positive social change is the main objective and not fiscal targets. This may mean that the term "profitably" in the CIM definition may not be applicable all the time. Furthermore, I would add 'and maintaining' just after 'satisfying'. From personal experience and what I have heard from other people, it seems that a lot of companies here in the UK are totally ignorant or choose to ignore the concept "LOYALTY". I was on air today morning on the Annie Othen Show on BBC Coventry and Warwickshire. I was asked to give my opinion on whether I thought businesses taking advantage of the Jubilee and Olympics (Jubilympics!) celebrations. In case you are not aware, the 2012 Olympics and the Queen’s Diamond Jubilee celebrations are coming up soon. Everyone is getting into the mood. However, some feel that stores are taking advantage. One listener had complained that a shop had wrapped up her favourite sponge cakes in new packaging (the Union jack), increased the prices and reduced the number of cakes. Of course this is nothing new. Businesses do it all the time - "making hay while the Sun shines" and in this case, profiteering from patriotism. However, they have to remember that consumers are not stupid and they risk alienating their costumers, as it happened in this case with the lady and the cakes. I also touched on the union Jack themed products. I believe that the party products including paper plates, cups, napkins buntings and balloons will do really well considering that over 10,000 applications for street parties have been put forward all over the UK. However, you now see the British flags on all kinds of products ranging from M&Ms, cups to napkins and as someone reported on the programme, even on toilet paper and nappies. Well, I feel that's taking it a little bit too far. In other countries, people could go to jail for disrespecting the flag, if they did something like that. It would be interesting to study the national differences towards using the flag on products. Do you think that putting the national flag on a paper napkin is right? I mean you will wipe your mouth on it and throw it in a bin afterwards on they could end on the floor with people walking on them. Regarding the celebrations and decorations, as someone who comes from India and has spent several years in Malaysia, I definitely feel that the celebrations have been rather low key considering that having the Olympics and the Queen's Diamond Jubilee are once in a lifetime events. I have to agree with my colleagues - it is definitely a great excuse for people to come together and celebrate. I definitely do not feel exploited - there are a lot of choices around and we need an excuse to have fun, especially during these hard economic times. It's good for the British economy as well - just look at all the publicity and goodwill which the Royal Wedding generated last year. It all ends up strengthening the national brand. 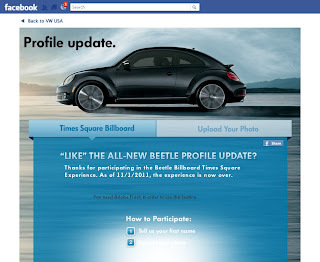 Volkswagen, the German car maker is actively targeting customers on Facebook by getting them involved in their advertising campaigns. No, I am not talking about customer generated advertising which is a popular buzz word today but rather about getting customers to say nice things about the brand or product (positive testimonials) and using these in their advertising campaigns. This is not a new concept in advertising and businesses and organisations often use positive testimonials to promote their products. However, it is the way that VW is actively soliciting and appealing to the "ego" of customers or the novelty effect and making innovative use of the technology, which is quite interesting. I took part in two of their campaigns - just for the experience. 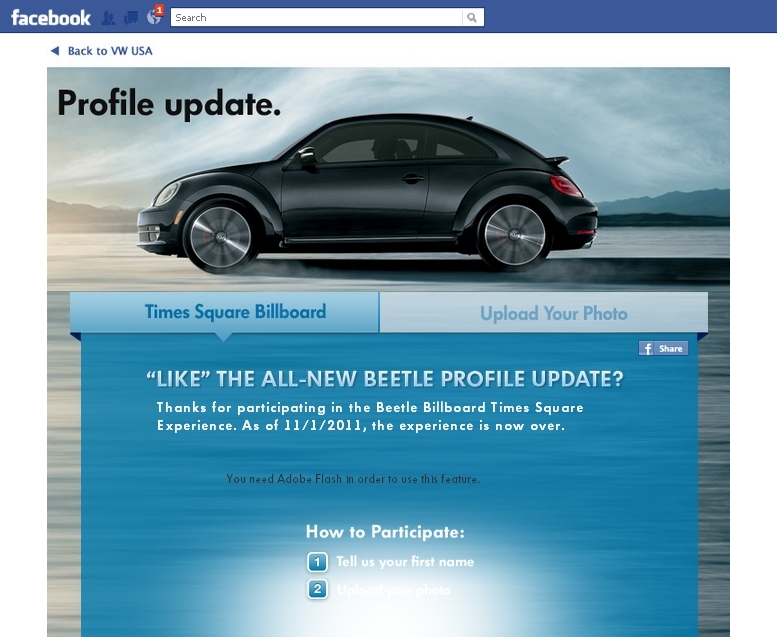 The first one was the " Beetle Billboard Times Square Experience". All I had to do was "like" the new Beetle (targeted at Men) and my face appeared live on the Volkswagen Beetle Billboard in Times Square, New York for a few seconds. This was in October last year. 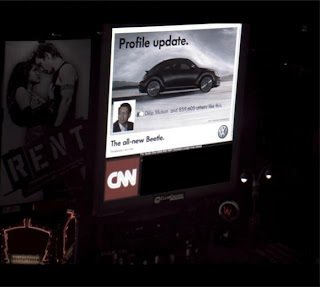 The second campaign was the Volkswagen "Big up the up!". All we had to do was say something nice about the new VW up! car ("bigged up the new up!") 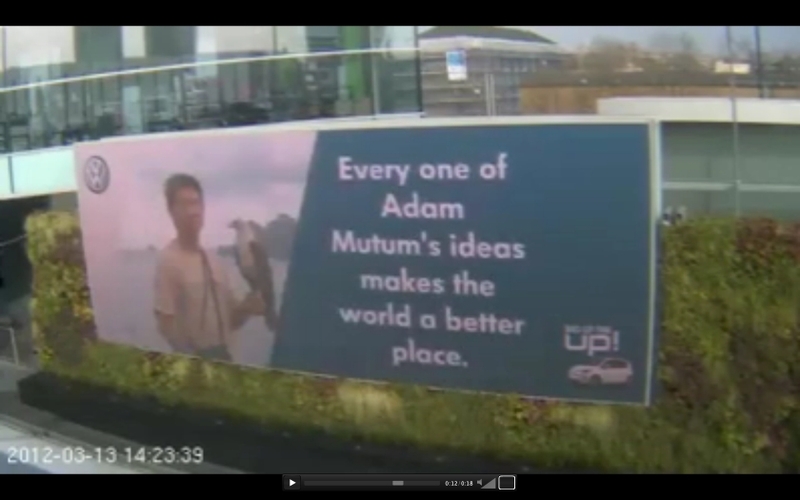 and they would then feature your FB profile on huge digital posters across the UK. A great way to get customers engaged with the brand and product. Do you agree? Any possible issues? I am really excited because two papers which I co-wrote with Bang Nguyen, Senior Lecturer at Oxford Brookes, has finally been published. 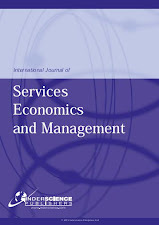 Nguyen, B. and Mutum, D. (2012), A Review of Customer Relationship Management: Success, Advances, Pitfalls and Futures, Business Process Management Journal, 18 (3). The Business Process Management Journal is a ABS 1* journal. Nguyen, B. 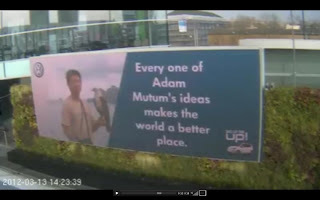 & Mutum, D. S. (2012). 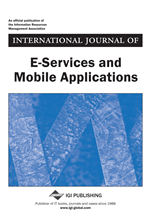 Customer relationship management: advances, dark sides, exploitation and unfairness, International Journal of Electronic Customer Relationship Management, 6(1), 1-19. Would love to hear your comments on the reading list. Please feel free to suggest any book or paper if you feel that I have missed out any. Peyrefitte, J. and David, F.R. (2006) A Content Analysis of the Mission Statements of United States Firms in Four Industries. International Journal of Management, 23(2), 296-301. Bartkus, B., and Glassman, M. (2008). Do Firms Practice What They Preach? The Relationship Between Mission Statements and Stakeholder Management. Journal of Business Ethics, 83(2), 207-216. Rothe, J.T., Harvey, M.G., and Jackson, C.E. (1997). The Marketing Audit: Five Decades Later. Journal of Marketing Theory and Practice, 5(3),1-16. Grundy, T. (2006). Rethinking and Reinventing Michael Porter’s Five Forces Model. Strategic Change, 15 (5), 213-229. Villinger, N. D. (2009). Analyzing non-profit organizations: managerial frameworks and evaluation. Journal of Global Business Issues, 3(1)61-65. McDonald, M. (1996)“Strategic Marketing Planning” (2nd edition) London: Kogan Page – Chapter 5: Strategic Marketing Planning: What It Is and How To Do It, pp 143-170. Hatton, A. (2000). “The Definitive Guide to Marketing Planning”, London: FT-Prentice Hall– Chapter 2: Unravelling the Planning Puzzle pp 29-54. Brassington, F. and Pettitt, S. (2006).“Principles of Marketing” (2006) (4th edition) Harlow:FT Prentice Hall – Chapter 21: Marketing Planning, Management, and Control pp 993-1050. McDonald, M. and Dunbar, I. (2004). “Market Segmentation: How to do it. How to profit from it. Oxford: Butterworth-Heinemann – Chapter 2: The Central Role of Market Segmentation in Profitable Growth pp 11-30. McDonald, M., Ward, K. and Smith, B. (2005). “Marketing Due Diligence: Reconnecting Strategy to Share Price”, Oxford: Butterworth-Heinemann – Chapter 4: Assessing Market Risk pp 69-96. Ryals, L. and McDonald, M. (2008). “Key Account Plans: The Practitioners guide to Profitable Planning”, Oxford: Butterworth-Heinemann – Chapter 4: How to Understand the Marketing Processes of Your Key Accounts: Strategic Marketing Planning pp 79-110.
de Chernatony, L. and McDonald, M. (2003). “Creating Powerful Brands” (3rd edition) Oxford: Butterworth-Heinemann – Chapter 11: Brand Planning pp 402-435. Richardson, M. and Evans, C. (2007). Strategy in Action Applying Ansoff’s Matrix Manager: British Journal of Administrative Management Issue 59 pp1-3. Pleshko, L. P., and Heiens, R.A. (2008). The contemporary product-market strategy grid and the linkto market orientation and profitability. Journal of Targeting, Measurement & Analysis for Marketing, 16(2), March, 108-114. Smith, M. (2002). Derrick's Ice-Cream Company: applying the BCG matrix in customer profitability analysis. Accounting Education, 11(4), 365-375. Dibb, S. (1995). Developing a decision tool for identifying operational and attractive segments. Journal of Strategic Marketing, Vol. 3 Issue 3, September, p189-204. McDonald, M. (2006) Strategic Marketing Planning: Theory and Practice. Marketing Review, Vol 6 Issue 4 Winter pp. 375-418. Keegan, W.J. (2004) Strategic Marketing Planning: A Twenty-First Century Perspective. 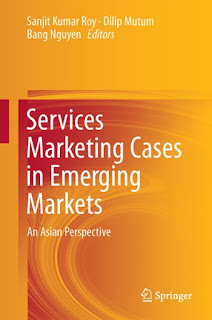 International Marketing Review Vol 21 Issue 1 pp 13-16. Wilson, H. N., and McDonald, M.H.B. (2001). An evaluation of styles of IT support for marketing planning. 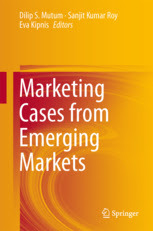 European Journal of Marketing, Vol. 35 Issue 7/8, p815-842. McDonald, M and Payne, A (2005) .“Marketing Plans for Service Businesses”(2nd edition) by Oxford: Butterworth-Heinemann – Chapter 3: Marketing Planning for Services: The Process pp 37-48. Dibb, S., Simkin, L., and Wilson, D. (2008) Diagnosing and treating operational and implementation barriers in synoptic marketing planning. Industrial Marketing Management, Vol 37 Issue 5 July pp 539– 553. Dibb, S. (2005). Market Segmentation Implementation Barriers and How to Overcome Them. Marketing Review, Vol. 5 Issue1, Spring, p13-30. Simkin, L. (2002). Barriers impeding effective implementation of marketing plans—a training agenda. 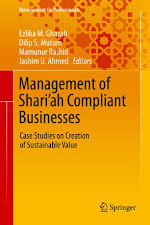 Journal of Business & Industrial Marketing, Vol. 17 Issue 1, p8-24. Wood, M. B. (2002). “The Marketing Plan: A Handbook” by Upper Saddle River, New Jersey: Prentice Hall – Chapter 11: Planning to Measure Performance pp 191-209. Tweet I was quite surprised when I found out that a number of people including academics, are not aware what a blog is. Here is an article I wrote on my old website at the University of Warwick. It was first published on Sat 16 Feb 2008. 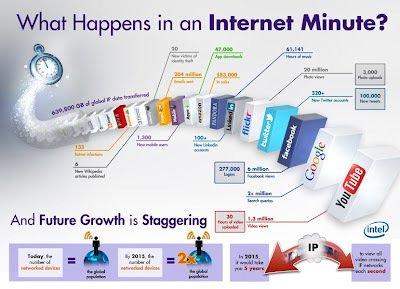 In 2007, Technorati was tracking approximately 70 million weblogs, with about 120,000 new ones being created worldwide everyday - around 1.4 new blogs created every second (Sifry, 2007). By 2011, the number has gone up to 182,397,015 (Matthew Hurst, 2012). Though some authors argue that the word is not a portmanteau of the words 'web' and 'log,' the terms ‘blog’, ‘weblog’ and ‘web log’ are often used interchangeably. There are several definitions of the word blog and most refer to it as a “personal online journal”. However, this may not be correct considering the fact that blogs are “public” and interactive in nature. In fact most of the blogs on Technorati's Top 100 list are collaborative blogs with several contributors. Most companies have also realised the importance of connecting and interacting with their customers - both external and internal. This has given rise to the growth of the so called "corporate blogs". Some of these blogs are accessible only to the employees through the corporation's Intranet and are called an internal blog. I personally liked the short definition provided by The Oxford Dictionary of Modern Slang, which defines it as ‘An Internet website containing an eclectic and frequently updated assortment of items of interest to its author’. However, this definition does not really give you an idea of a blog. 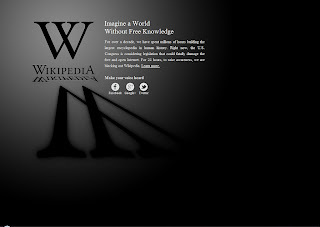 Our definition recognises the interactive nature of blogs and define blogs as an “interactive website with posts that are up-dated frequently and may contain links, images, video or music clips, of interest to its author or authors that are archived and arranged in reverse chronological order” (Mutum and Wang, 2010). There are a number of free blog publishing systems on the net. The two most popular are Blogger (owned by Google) and Wordpress. I started blogging in September 2003 and have been blogging ever since. My oldest blog is ah ok lah, which is hosted with Blogger. Mutum, Dilip and Wang, Qing (2010). “Consumer Generated Advertising in Blogs”. 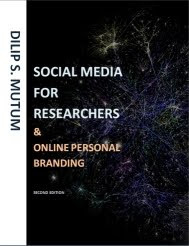 In Matthew S. Eastin, Terry Daugherty and Neal M. Burns (Eds) Handbook of Research on Digital Media and Advertising: User Generated Content Consumption (Vol 1), pp. 248-261, IGI Global: Pennsylvania (ISBN13: 9781605667928).